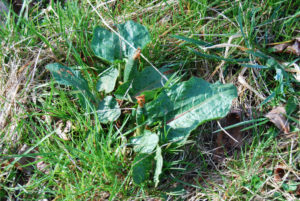 Comments: Dichanthelium latifolium, broad-leaf rosette panic grass, is a cespitose species identified by its broad leaves. 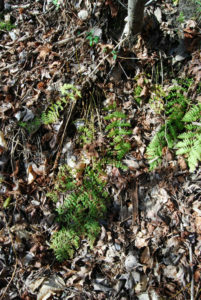 The species is common on rich upland (non-hydric) soils of northern New Jersey and the northern Inner Coastal Plain. Its frequency diminishes south into the lower Delaware Valley. Mary Hough (1983) identifies specimens from every county with the exception of Atlantic, Essex, Camden, Cape May, Cumberland, Morris, Salem and Union. 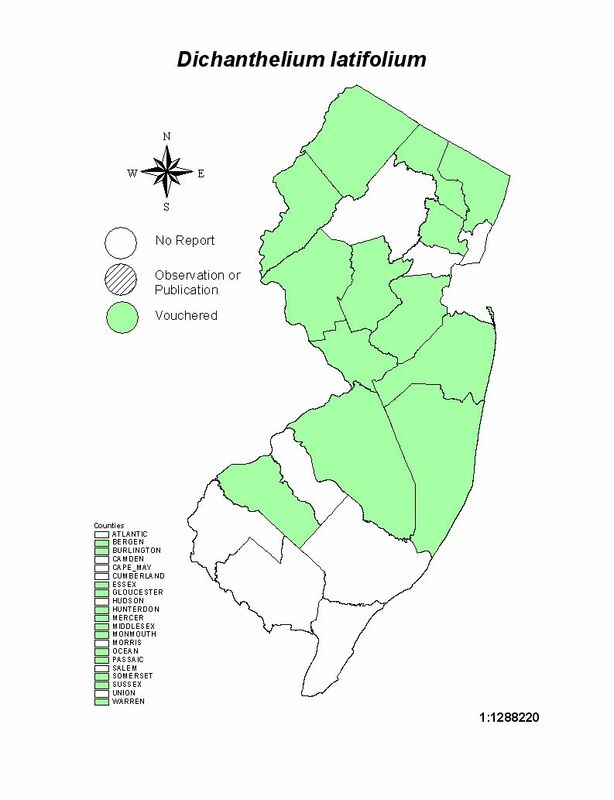 The species is doubtful along the coast, but the species should be growing in the rich woodlands of the northern Piedmont counties as well as in the lower Delaware Valley, specifically Carneys Point, Pennsville and other nearby municipalities. 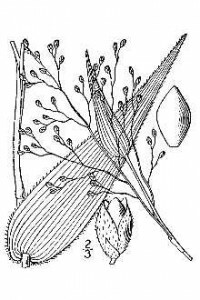 It is often mistaken with Dichanthelium clandestinum, Dichanthelium boschii and Dichanthelium communtatum. It differs from these species, in addition to other anatomical differences, by its hairless anatomy and lack of hispid hairs on elevated papillose bases, and the lack of bearded nodes. Current distribution map reflects author, FNJP members and Mary Hough, 1983.